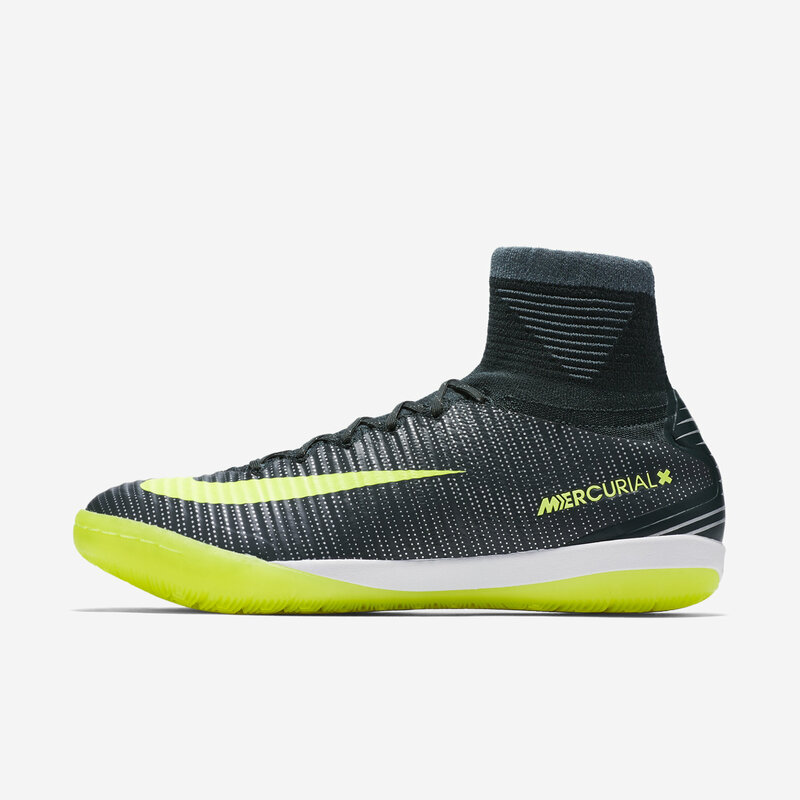 EXPLOSIVE SPEEDThe Nike MercurialX Proximo II CR7 Men's Indoor/Court Soccer Shoe features a lightweight, breathable upper and full-length cushioning for comfort during fast-paced play, indoors and on the street.BENEFITSFlyknit upper with Dynamic Fit collar delivers a sock-like fit3D Speed ribs enable better control in all conditionsFull-length Phylon midsole provides lightweight cushioningTri-star outsole with flex grooves lets the foot move naturallyIndoor/Court (IC) rubber outsole for traction on the street, court and indoor surfacesCRISTIANO RONALDORarely do prodigies exceed their overwhelming expectations. A prolific winner and record-setter at every level, Cristiano Ronaldo is an obvious exception. From his first pro contract at age 10 to multiple Player of the Year honors, he's dominated the world's biggest stages with speed, savvy and a scorer's touch.FLYKNIT ORIGINSNike Flyknit technology was inspired by feedback from runners seeking a shoe with the snug (and virtually unnoticed) fit of a sock. Nike embarked on a four-year mission with teams of programmers, engineers and designers to create the technology needed to make the knit upper with static properties for structure and durability. Then the precise placement of support, flexibility and breathability-all in one layer-was refined. The result is a featherweight, formfitting and virtually seamless upper.